Taiwan needs to 'reduce suspicion' Jump to media player Taiwan's newly appointed cultural minister Lung Ying-Tai has said the level of exchange between Taiwan and China still has room for improvement. Next Media group shares suspended Jump to media player Shares in Taiwan's Next Media group remain suspended amid reports of its sale to a Taiwanese consortium. Taiwan films face Chinese red tape Jump to media player Chinese officials say they want increased cultural exchanges with Taiwan, but Taiwanese films still face hurdles reaching mainland audiences. Taiwan's newly appointed cultural minister Lung Ying-Tai has said the level of exchange between Taiwan and China still has room for improvement. 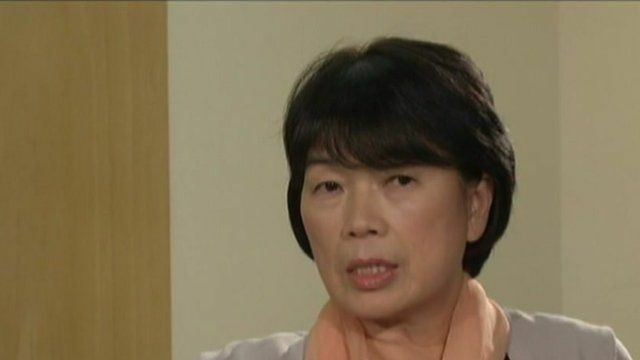 She told the BBC's Cindy Sui that after six decades of hostility Taiwan has to "do more for mutual understanding" which will "reduce the level of suspicion and distrust".